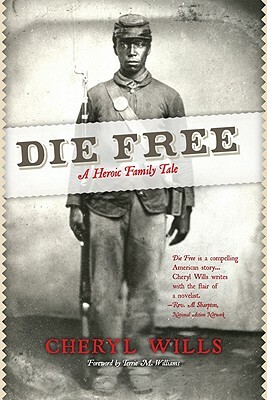 When award-winning television news anchor Cheryl Wills discovers that her Great-great-great grandfather, Sandy Wills, was a runaway slave who joined the historic fight for freedom in the American Civil War, she embarks on an gut-wrenching search to learn more about the courageous ancestor who demonstrated the same courage that she knew in her beloved father, an intrepid New York City firefighter, who died when Cheryl was thirteen, and who never knew his family's notable legacy. Told with deep love and a brow-raising honesty, Die Free stretches from Haywood County, Tennessee, in the 1860s to New York City in the twentieth century. Cheryl shares the unvarnished truth about the Wills' family roots, ever entwined in passion, music, and faith.